I have a new Hobart Handler 140. I ran new 12-3 wire 77 feet off a 20 amp breaker from my breaker box to a new dedicated 20 amp single outlet in my basement. I can spot weld 1/8" steel with no problem. When I make a 1 inch weld the breaker trips. Has anybody had this happen? Last edited by Dale M.; 11-04-2018, 02:25 PM. Thank you for responding. All I heard was must have a dedicated 20 amp breaker. I will swap out. While the reality is that the #12 wire will be just fine on a 30A breaker, you should at least be advised that it is only allowed by the National Electric Code for a dedicated welder circuit. You're not supposed to plug anything else in to it. If your wire run is 77 feet one way, you have a fair bit of voltage drop at 20 Amps. Combine that with inrush, possibly a bit low input voltage and the power factor of a conventional transformer welder, you could easily exceed the 20A breaker if you are welding hot. Ordinarily I'm insane, but I have lucid moments when I'm merely stupid. I get about 4%. It certainly contributes. All kidding aside, you have to consider the outlet quality, joint connections, ambient temperature and other stuff when you are at the limit. Get an honest 50A circuit and you should be able to run 40A all day long unless you live in a hot place. Last edited by usmcpop; 11-05-2018, 05:46 PM. Thanks for all the advice. I'll keep you posted. I run them on 20. The12 wont be a problem at that distance and they do pull well north of 20 when wide open. What size welding wire do you have in it. I have a linc 140, run 023 and right at the panel and never trip it. The 4% isn't much, shouldn't effect a thing. They will run quite a distance on 14 without issue except for a little operator adjustment. You can just barely tell if you run it back to back, we actually tested this. Oh I am using the sample wire that came with it, .030. I never thought of the weld wire. Ok. I was wrong. I ran 12-2 wire 77 feet and it is tripping a 20 amp breaker. I thought it was 12-3 wire. Can I run 30 amp breaker on 12-2 wire dedicated with Hobart Handler 140? 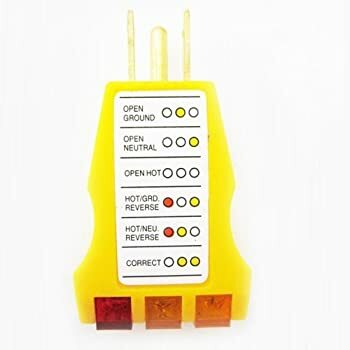 Basically, yes you can BUT a 2 wire romex will only have hot leg( black) and neutral (white), and it does not have the safety ground.. IS it even available??? Last edited by Dale M.; 11-09-2018, 10:14 AM. Thanks Dale that is what I have. White black and Bare ground. You are good to go...IS it tested? All times are GMT-6. This page was generated at 05:46 PM.